What is it that’s so satisfying about crossing things off lists? A clean Post-It? Neat handwriting? If you’re like us, you’re kind of obsessed with planning, and all the organizational goodness that comes with it. We plan our days, our appointments, and our errands, but there’s so much more out there that we could be tracking, writing, or ticking off that will make our lives 10 times easier. If you like to plan, you’re a visual person, which means habit tracking is perfect for you. It’s a colorful, easy way to record how you’re spending your days, and to encourage yourself to do more of some things while doing less of others. To make your own habit tracker, write every day of the month horizontally and every habit you want to track vertically on a page in your planner. Then, fill in the corresponding squares every time you read, run, or whatever activity you’re tracking. By the end of the month, you’ll be able to easily view your progress. 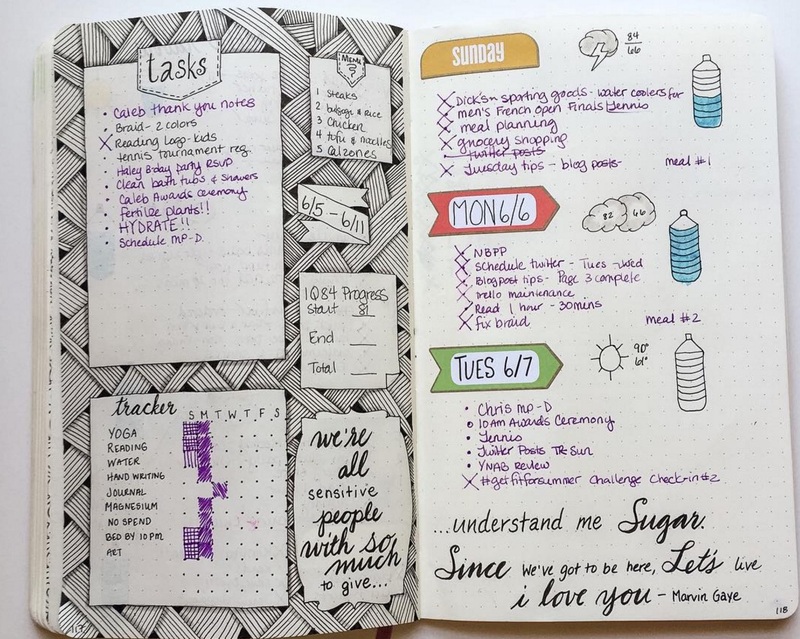 Your planner can serve as much more than a record-keeper—it can also be a motivator. The internet is filled with daily challenges that help you transform yourself and kick bad habits one day at a time. There are challenges for those who want to wake up earlier, be more grateful, de-clutter their lives, and so much more. Simply pick a page in your journal to record your challenge, and work on it every day. Sometimes, you just have bad days. In my own planner, I make a note of them. Keeping track of your mental health can help you understand its fluctuations. Are there specific days when you often feel sad? What do they have in common? What about the days that make you happy? Recording your emotions gives you better insight into your brain, and if you have cute stickers to gussy it up, that doesn’t hurt either. Who says your scrapbook and planners need to be separate? Plan for the future while recording the past, and soon you’ll have a book filled with memories, moments, and details that you would have otherwise forgotten. We all have those recipes we turn to time and time again, so keep them always with you by dedicating pages in your planner to your go-to meals. No more cluttered recipes hidden around your house — everything important is in your hands. Sometimes, it’s the little things, and when you look back over the past few weeks, checking the weather is a tiny detail that says a lot about each day. When the cold winter months set in, look back on warmer times. It’s like you’re practically there! While a pile of books next to your bed may seem daunting, there are many creative ways to record your reading that will get you inspired. The moment you start tracking and color-coding, that ever-growing to-read pile seems a lot more manageable.